Looks like Sony Ericsson might become from the biggest laggard in terms of Android updates last year, to the fastest manufacturer to update its 2011 crop to Ice Cream Sandwich. 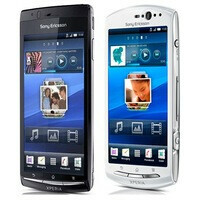 The ICS firmware has seemingly been submitted to the PCRB certification body on Friday for the Sony Ericsson Xperia arc and Xperia neo handsets. These are currently $350 and $300 unlocked at Newegg, respectively, so they'll be a good deal when they get updated to ICS. We just checked those two at the PCRB, but probably the rest of the Xperia pack has been submitted too. The company has said numerous times that it has learned its lessons from past Android mistakes and is now working hard to update all of its 2011 lineup to ICS - some say in January, some say in March. This should set a precedence for other phone makers, as Sony Ericsson simplified its own Timescape UX in order to achieve easier updates, and is apparently ready to deliver ICS to its flagship 2011 handset - the Xperia arc - in a timely manner. But let's not get ahead of ourselves before the update has hit the handsets. sony is back in the game and wants to make some serious damage! I love Sony products. I hope they come out with a Variant of the Sony Xperia Play that has a dual core processor, HD screen and other goodies, but this time on a carrier like Sprint or T-mobile. If they do this the same time they launch the PSVita. It could be impressive. As an Arc owner I'm all smiles baby. hahaha. . .
Sony is just becoming the best in after sales support.. Cant wait to get my hands on that Nozomi..
is it coming to arc s? Yes that's obvious, since the difference between the Arc and the Arc S is onlythe clock speed (aside from colors of their casings). . . This article is wrong. The 4.01 / 4.02 refers to the Sony Ericsson firware build - it does not refer to the Android version which is still 2.3.4 on these firmwares. The latest "D" version is just a localised version for NTT DoCoMo in Japan (see Xperiablog.net for details).